One day you’ll be trawling vibrant local craft markets with local artisans of Antigua, the next you’ll be kayaking across volcano-lined lakes in this journey of Central American discovery. In Guatemala, we’ll have you staying at the luxurious lakeside hideaway of Casa Palopó overlooking the peaceful waters of Lago de Atitlán before sending you off on an exclusive glamping adventure amidst remote Mayan ruins. From shamanic blessings to private sunset boat rides to hidden temples, you’ll get to know Guatemala inside out. 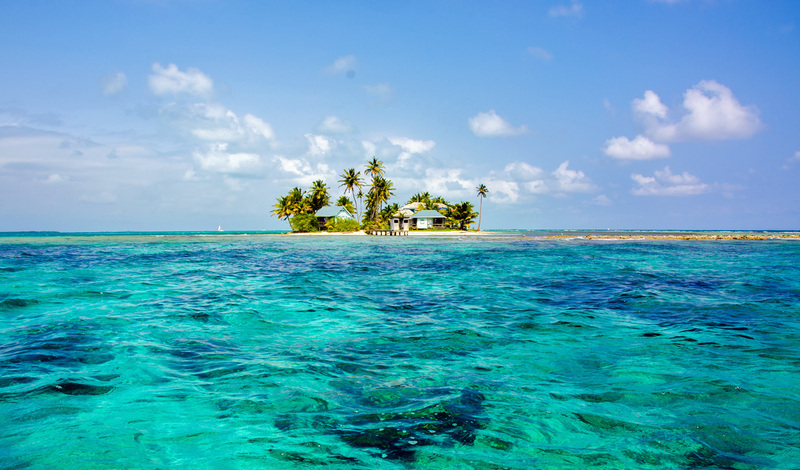 Then, in Belize, how about finishing up at your very own private Caribbean island? We thought so. Start this adventure winding your way through the pastel patchwork streets of the UNESCO city of Antigua. With a name that translates as ‘ancient’, there’s no surprise that you’ll feel like you’re stepping back in time as you discover the vibrant city the best way, on a guided walking tour. You’ll come across beautiful church and cathedral ruins, reminders of the city’s rich colonial heritage, as well as stunning Spanish Baroque buildings. Here, you’ll stay in the heart of the city at El Convento, a contemporary boutique hotel with colonial flair before embarking on the next part of your trip. Leave Antigua behind as you travel into the tropical countryside to Lago de Atitlán, the deepest lake in Central America. After an authentic market experience in Comalapa, you’ll visit the Mayan ruins of Iximiche – popular among the Maya and local Guatemalans but a bit off the tourist track. The luxurious rural retreat of Casa Palopó is the perfect base to explore this stunning region for the next few days. You’ll be kayaking across the volcano-lined lake, hiking the Cerro de Oro trail before rubbing shoulders with the locals as you catch a ride to the nearby town of Santiago for lunch. Finally, you’ll come face to face with how Mayan culture has fused with the Catholic Church in the highland town of Chichicastenango. For a cultural immersion like no other, we can even arrange for you to enjoy a spiritual shaman blessing, something few travellers get to experience. Set amidst the Guatemalan jungle, Uaxactún a sacred Mayan site, will be your humble abode as you brush up on your ancient history and astronomy. A private guide will explain how the locals make their living and why they’re called ‘chicleros’ as they take you around the remote village showing you ruins of a once great civilisation. For us, a Mayan history lesson wouldn’t be complete without a visit to the awe-inspiring UNESCO World Heritage Site of Tikal National Park where you’ll be accompanied by an expert as well as the calls of howler monkeys. For a unique, exclusive experience you’ll then also take in Yaxha National Park where you can enjoy a private guided tour of this lesser-known, Mayan ceremonial site. At sunset, you’ll enjoy a private cruise of the peaceful lagoon with some champagne to toast this incredible experience. Crossing the border, you’ll get to see the green side of Belize with a stay at Chaa Creek, an eco-friendly lodge perched on the banks of the Macal River, where luxury comes completely guilt-free. You’ll take a trip by canoe into the caves of Xibalba and while it may mean ‘underworld’ in Mayan, it’s not quite as ominous as it sounds. Travel deeper into the Cayo region for another nature fix with a guided tour around the colourful Butterfly Farm or if you’re an early riser, don’t miss the vibrant birdlife on display. Some rest and relaxation are much deserved after some intrepid exploration and the tranquil Cayo Espanto is just the ticket. You’ll be greeted by a picture-perfect private island surrounded by azure Caribbean waters and lined with tropical palms. Unwind in complete luxury in your private villa before a romantic candlelit dinner under the stars. You’ll have the chance to see two of Belize’s stunning atolls as well as the largest Barrier Reef in the Western Hemisphere as you head to Turneffe Islands on an exhilarating helicopter ride. Next, awe at the dazzling Blue Hole, the largest ocean sink-hole in the world, and heaven for all you divers out there with the world’s second largest coral reef at your fingertips. 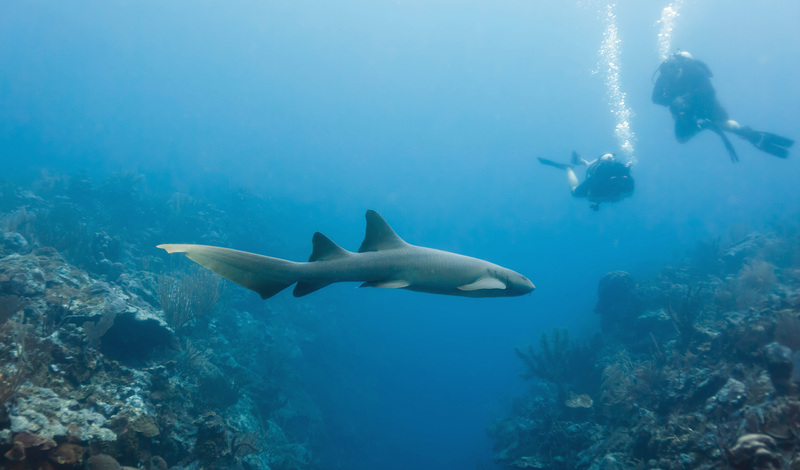 Before you go, tick off a Belize must-do with a snorkel trip down Shark Ray Alley – and a cocktail to wash the adrenaline down after.